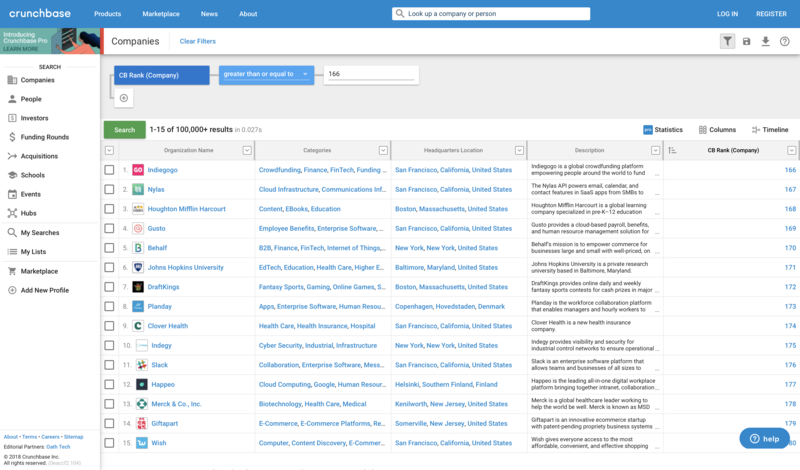 Giftapart ranked top 179 amongst wordwide companies, second highest in New Jersey. 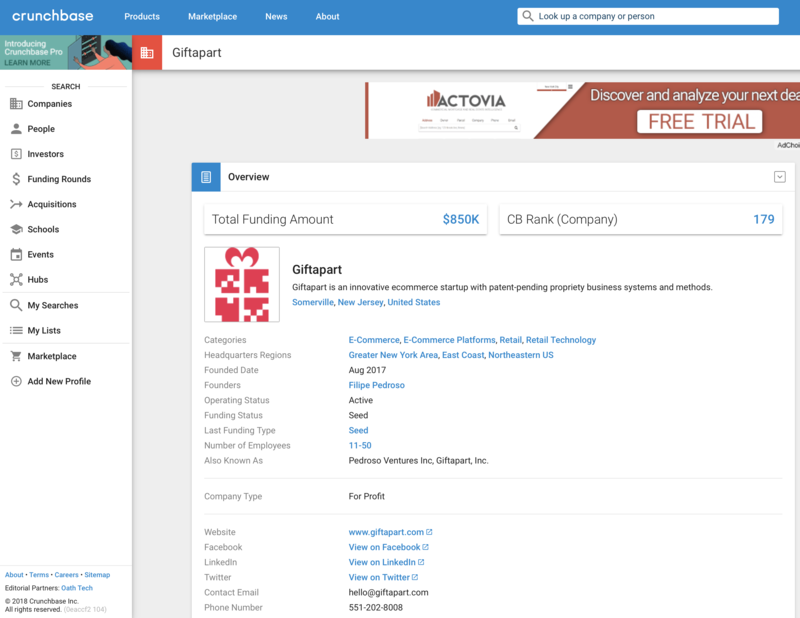 SOMERVILLE, NJ, September 4, 2018 — Giftapart Inc., the tech ecommerce startup in New Jersey that according to its CEO is “going to change the world and is creating a revolutionary new way for retailers to get, connect, and sell to a growing Gen Z and millennial shoppers,” reached the Crunchbase Rank top 200 of worldwide companies. At the current time, Giftapart had the second highest rank of all New Jersey companies at 179, just one behind Merck & Co., the worldwide pharmaceutical company, ranked 178. 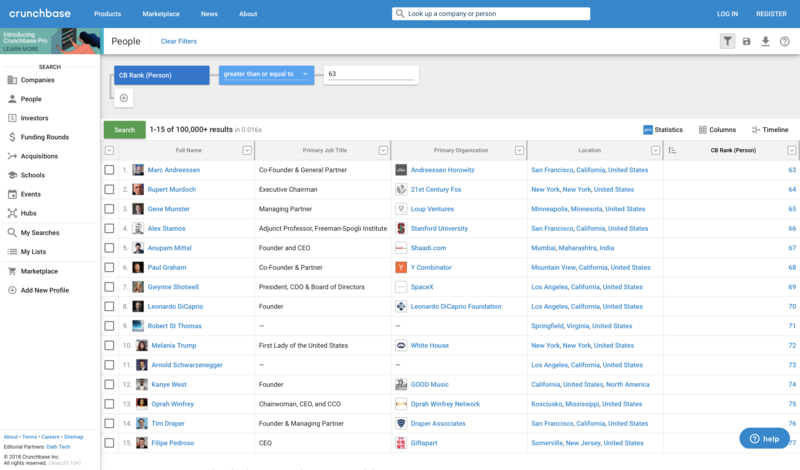 Crunchbase, founded in 2007, is a platform for finding business information about private and public companies accessed by over 5 million users monthly, according to Wikipedia. The Crunchbase website states that it’s the leading destination for millions of users to discover industry trends, investments, and news about global companies — from startups to the Fortune 1000. Filipe Pedroso himself is ranked in the top 100 individuals on Crunchbase, currently at 77. He follows Melania Trump (ranked 72), Arnold Schwarzenegger (ranked 73), Kanye West (ranked 74), Oprah Winfrey (ranked 75), and Tim Draper (ranked 76). “It had more meaning to me when I shared the same spot with Woz [Steve Wozniak]. For a day or so, we were literally tied, and it was kinda cool,” said Filipe Pedroso. Steve Wozniak, co-founder of Apple computer, and Filipe Pedroso shared the top 155 spot together on July 13. Investors wishing to learn more about investing, can contact Giftapart at hello@giftapart.com. Text and pictures available at: https://info.giftapart.com/news/news20180904.html. Crunchbase company rank, group of top 166 to 180, showing Giftapart's rank at 179. Crunchbase people rank group of top 63 to 77, showing Filipe Pedroso, Esq. rank at 77.